When news broke that Iron Fist would not be returning for a third season, fans of Marvel's other shows became concerned. Danny Rand is an integral part of The Defenders. As one-fourth of the superhero team that is also comprised of Daredevil, Jessica Jones, and Luke Cage, Iron Fist brought the mystical side of the Marvel universe into play. Although Iron Fist season two was miles ahead of the first season in terms of quality, it was canceled anyway. Daredevil will be releasing its third season on Netflix this week, which means the Netflix/MCU partnership is still working for now. 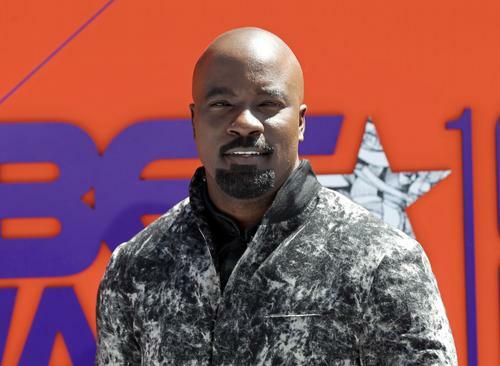 As reported by Deadline, the third season of Luke Cage should be announced, "any day now." Mike Colter has done an immaculate job of playing Cage, a hero that gains super strength and bulletproof skin after he is experimented on in prison. The first season of Luke Cage was a success, with Mahershala Ali and Alfre Woodard playing two of the best villains in the Netflix MCU (next to Vincent D'Onofrio's Kingpin, of course). The second season, which was released earlier this year, featured a Carribean vibe, and took most of the action from Harlem to Brooklyn. Cage battled Bushmaster, a villain that used a secret concoction to emulate Cage's powers. At the end of Luke Cage season one, Cage's enemy Diamondback was taken in by the program that gave the hero his powers. A third season would likely explore the return of the deadly villain.